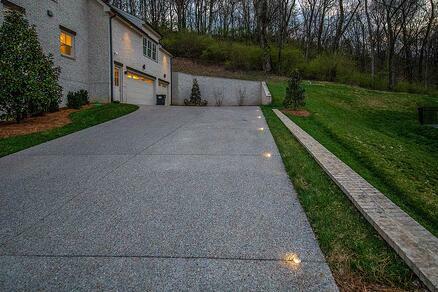 There are many ways to light a driveway and selecting the best fixture for the job is dependent on the terrain around it. 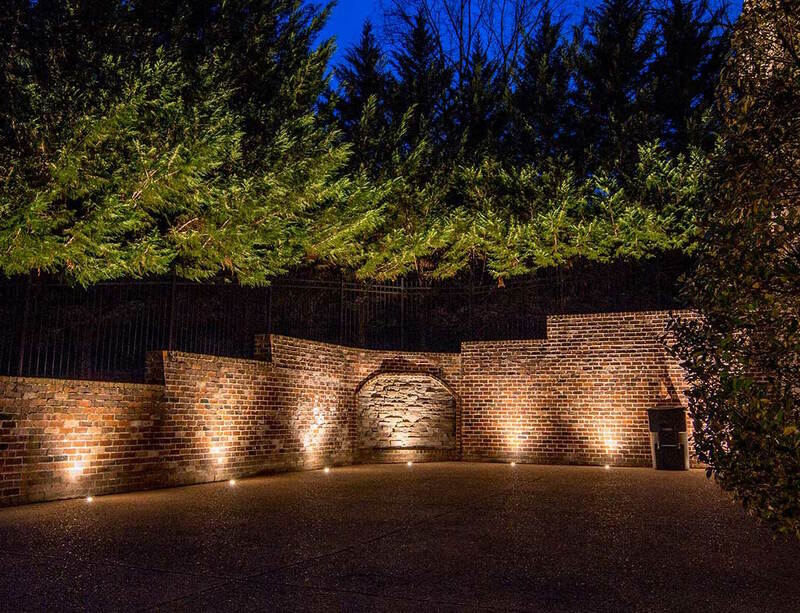 For instance, we often downlight driveways from nearby tall trees or structures. Another less common way to light a drive would be to use the traditional path light. 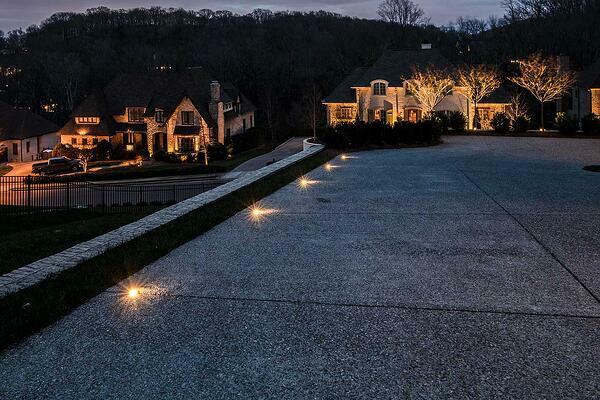 But what if there are no established trees nearby to downlight from and what if there is no flower bed to place traditional path lights? 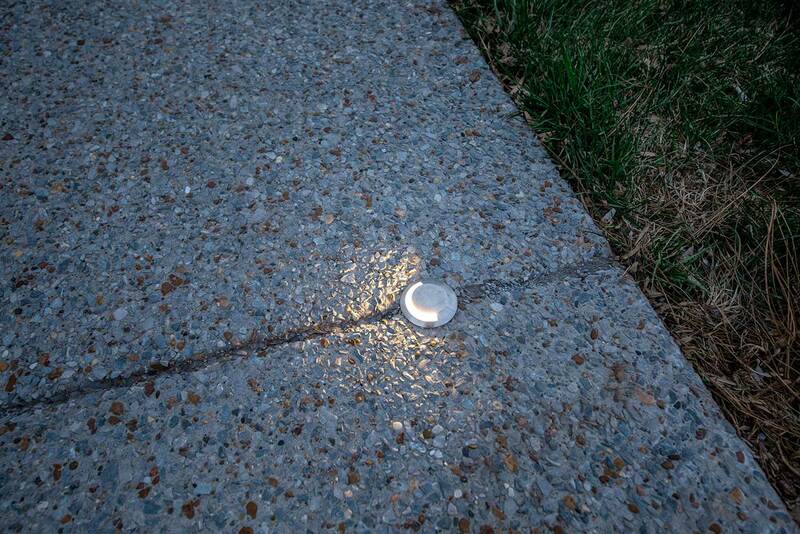 We never suggest a traditional path light be placed in turf where mowers and weed eaters can bang them up. 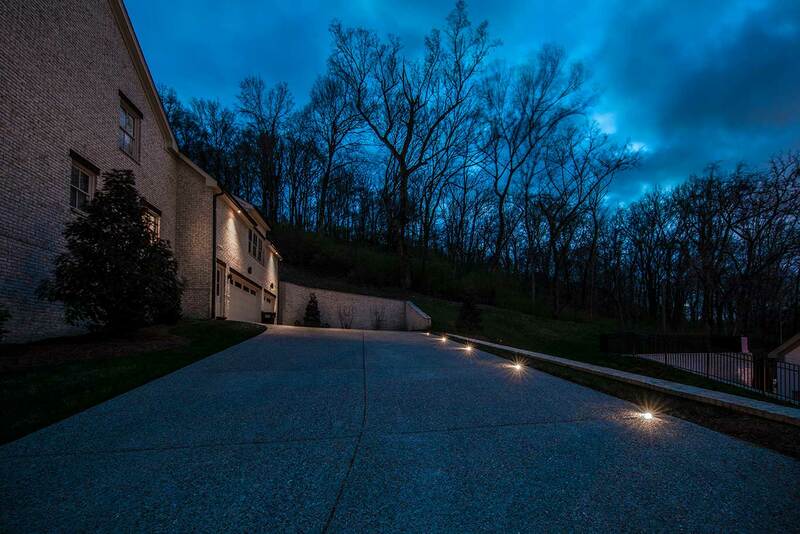 In situations like this, in-ground driveway indicator lights are a great solution. Requires A Professional to Install - Require core drilling into the drive (only a con if someone tries to do this and doesn't know what they're doing).